Vertbase, owned by United States based American Trade Exchange, prepares to launch their services on September 1. Vertbase aims to provide a simple and secure process for purchasing cryptocurrency with the U.S. dollar. The service uses Vertcoin as its gateway into crypto. Buy & sell with fiat: Vertbase puts a clear focus on the ease of use of the platform. This is clear through the friendly user interface and simple instructions for making a purchase. 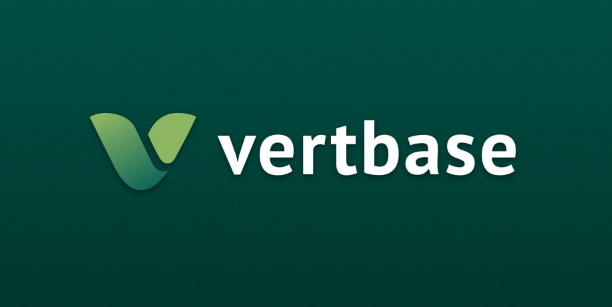 You can buy Vertcoin on Vertbase easily by accessing your bank account securely through the platform. ACH transactions can then be used to make payments. These transactions can take up to 5 days to complete, but the price of your Vertcoin will be locked in at the moment the transfer is created. Vertbase is confident they can bring this down to near-instant transfers in the coming months. Why Vertcoin: To some, Vertcoin may not sound like the obvious choice due to its mid-range market-cap. CEO and Founder, Justin Seidl, says it is no mistake. The choice for Vertcoin really originates from the way the developers have handled development and communication in the past. Vertbase strongly believes Vertcoin will offer a great foundation for sustainable growth due to the dedication to decentralized mining and the focus on Lightning Network payments. Can everyone use Vertbase? : Vertbase had a large wait-list open for the past few months. Their goal is to slowly onboard users from launch whilst monitoring the platform. Once Vertbase is confident the exchange is fulfilling to the users’ needs, we will scale to full capacity. Invites to waitlist applicants will initially be sent out in order people signed sign up. At launch, Vertbase will provide services for all U.S. residents from all states except for the following: AK, CT, HI, IA, ME, NC, NH, NM, NY, RI, VT, and WA. The exchange aims to provide services for these states in the future as well. Deposit and withdrawal limits are established to provide additional levels of security. Account limits will be raised eventually if applied for. Credit/debit card purchases aren’t available until Vertbase can find a cost-effective solution to provide the customers with. What does the future hold for Vertbase? : Vertbase stated that there is certainly room for growth and that they have been looking at expanding their efforts to cover a global market. Vertbase’s primary focus at launch will be exchanging USD to Vertcoin. Depending on user demand for other coins, Vertbase will explore opening exchange pairs from Vertcoin to those cryptocurrencies as well, potentially opening up an easy fiat gateway for more cryptocurrencies.